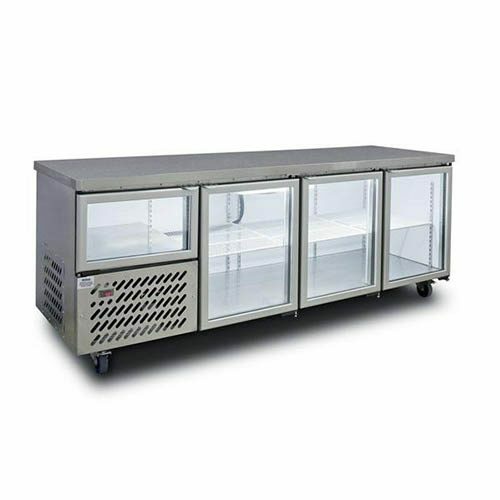 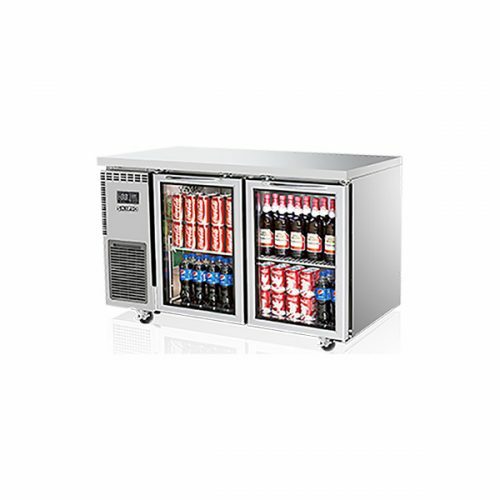 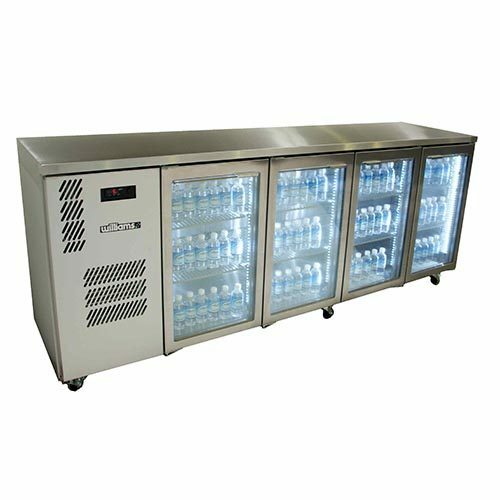 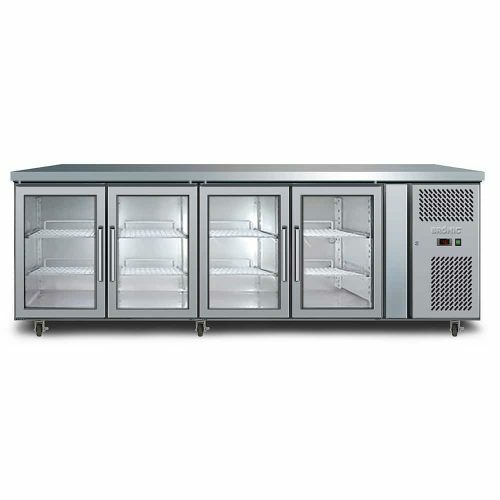 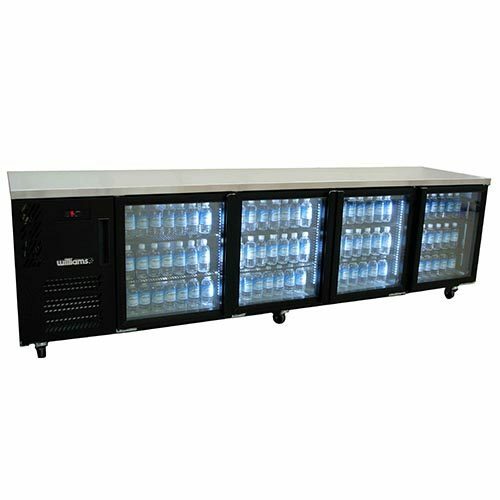 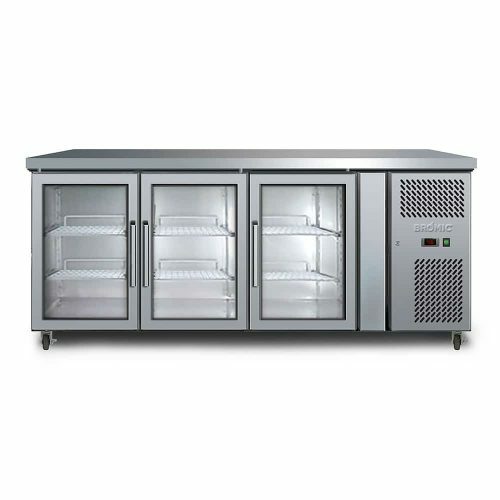 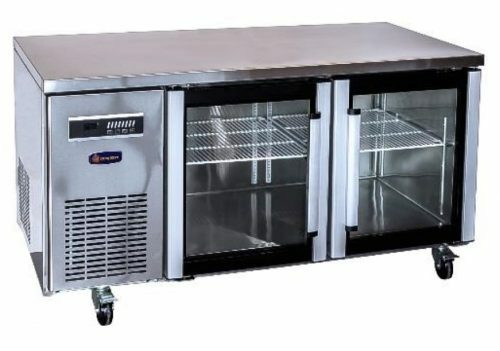 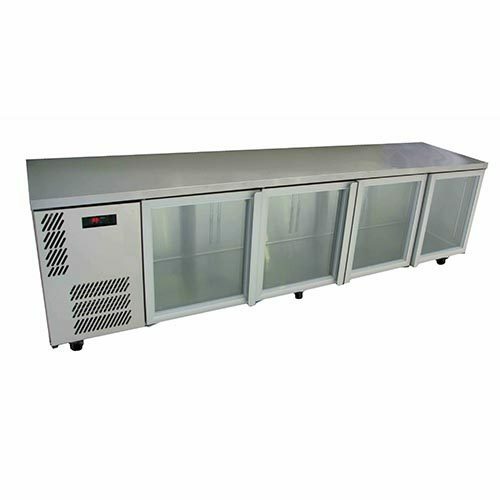 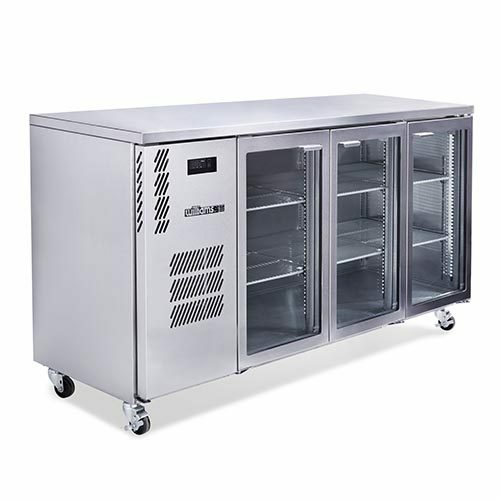 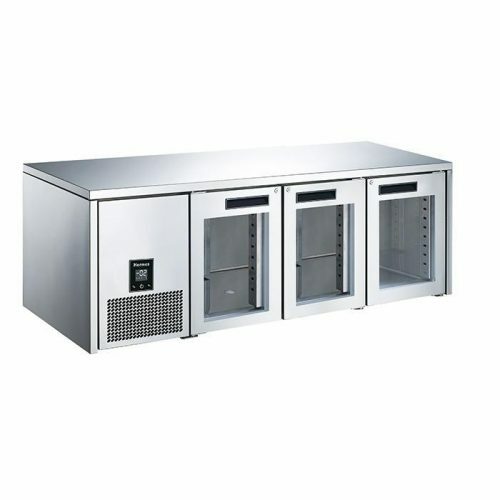 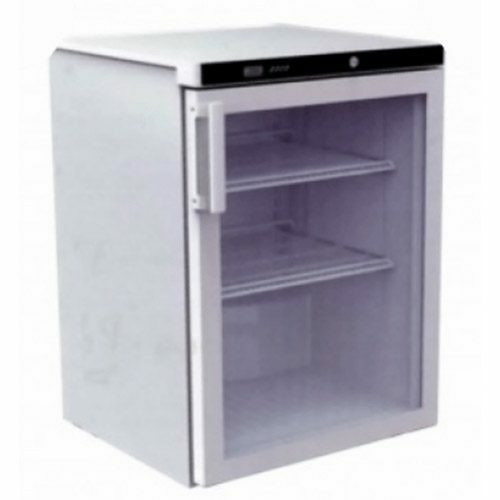 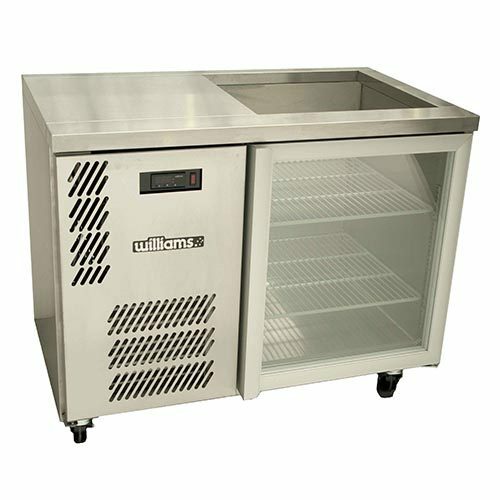 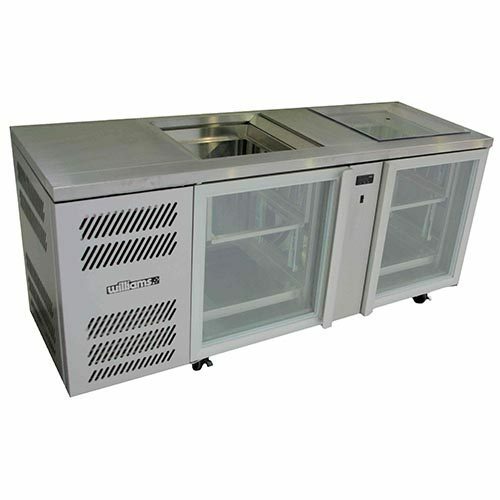 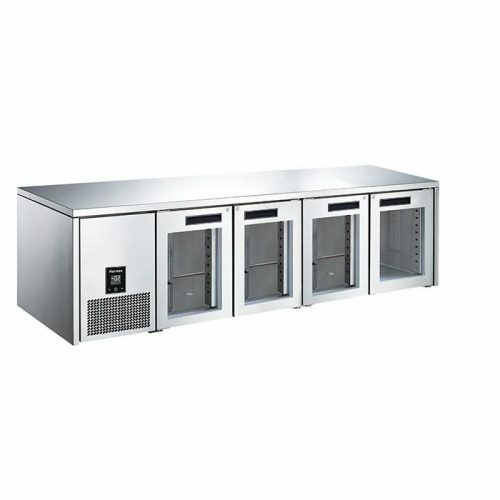 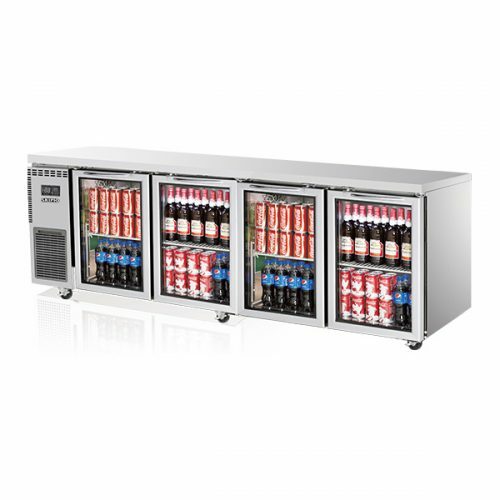 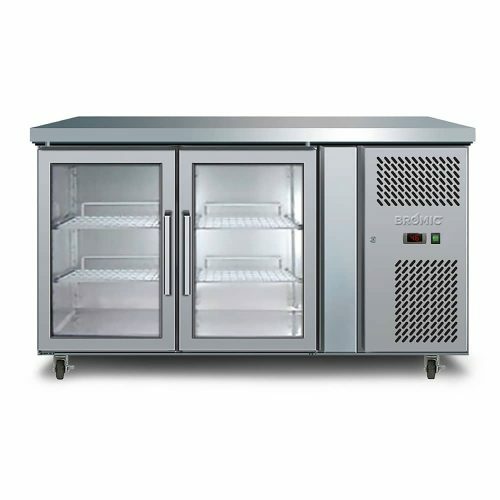 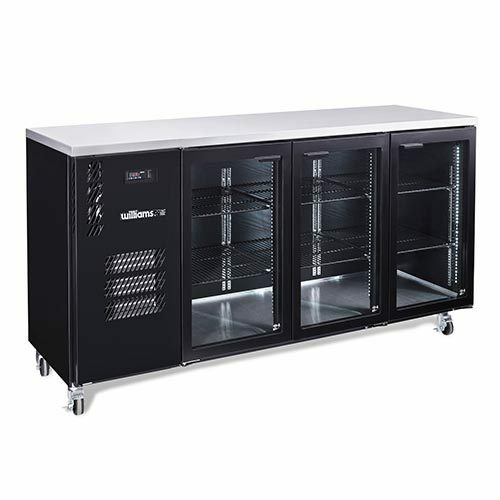 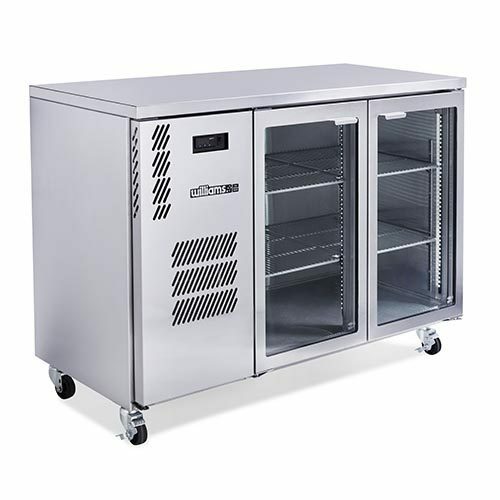 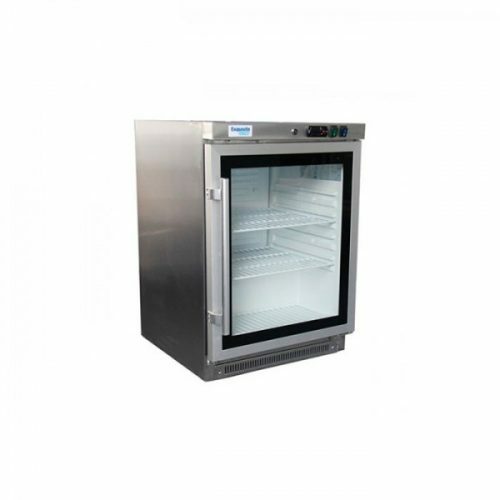 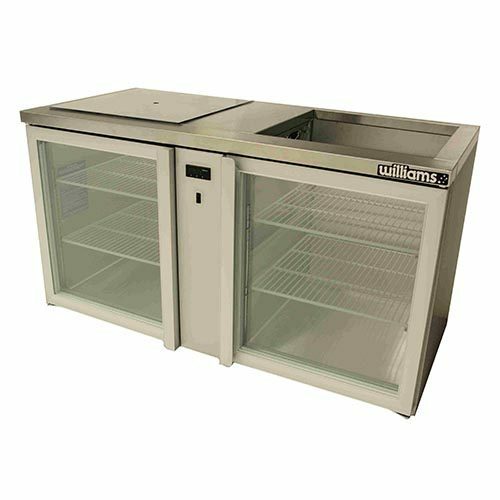 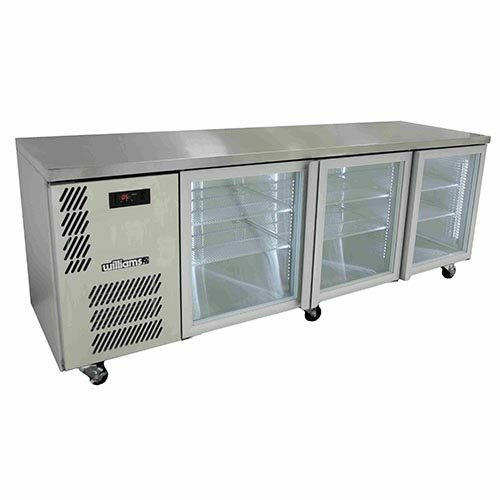 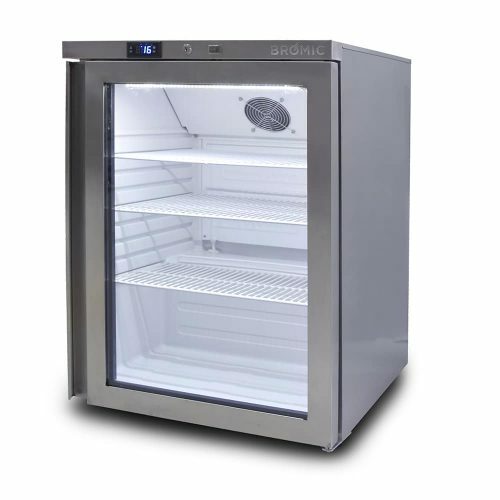 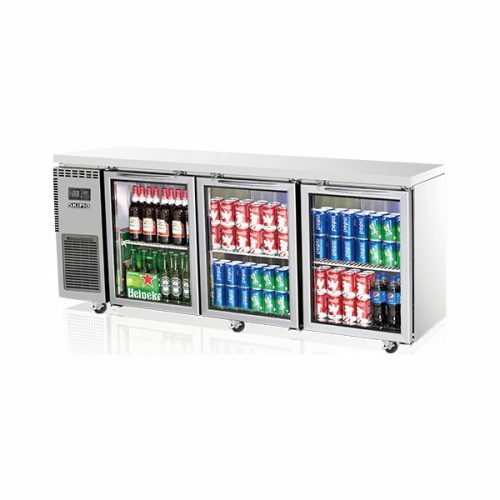 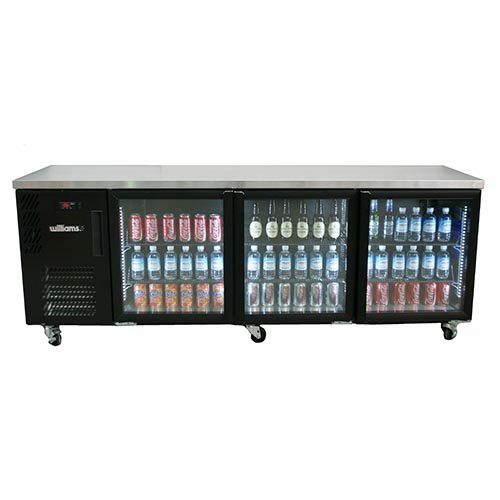 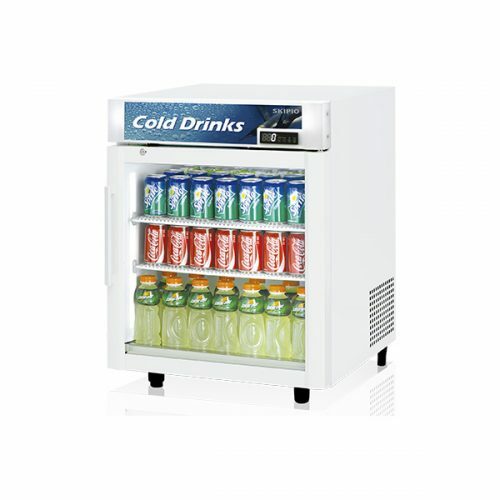 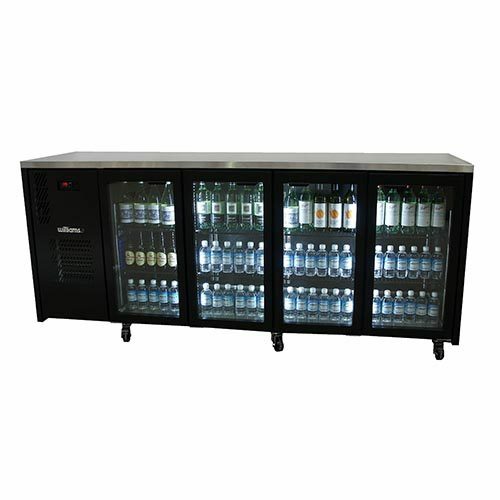 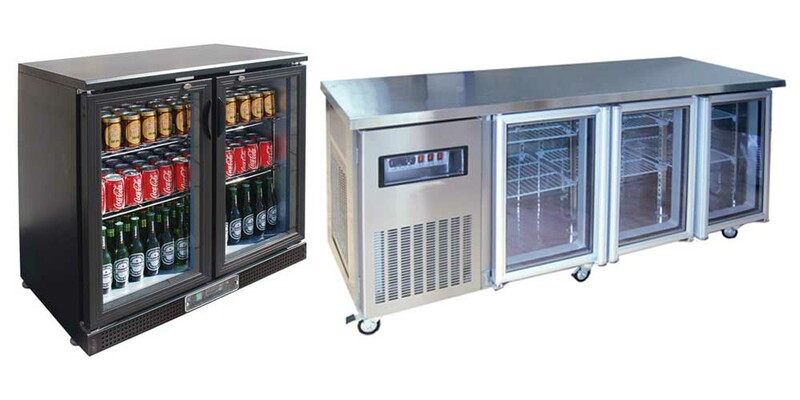 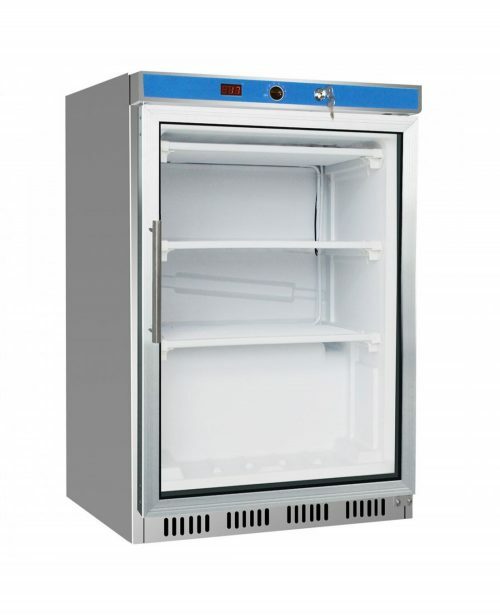 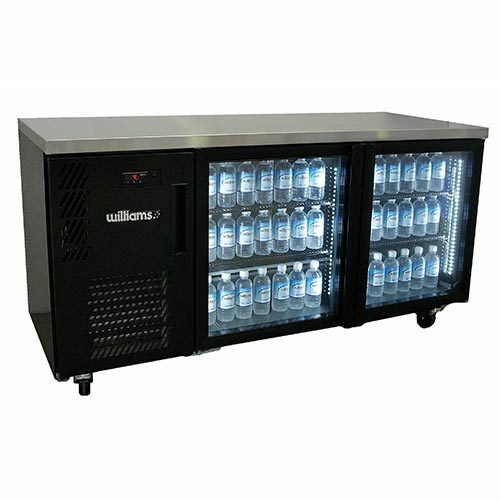 Our large range of commercial counter underbench fridges and freezers, bar fridges & freezers with double glazed glass doors. 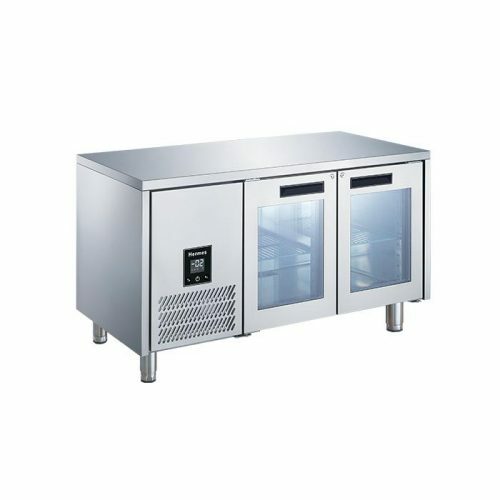 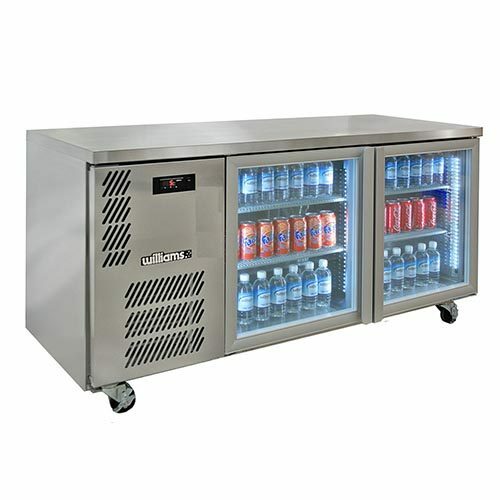 Underbench fridges and freezers are perfect for prep kitchen area. 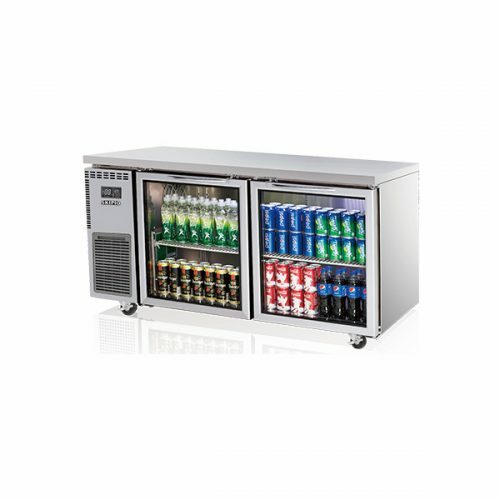 Also, ideal for milk storage for coffee machines, drink storage, cafes, restaurants, hotels, motels, clubs, pubs and takeaway shops. 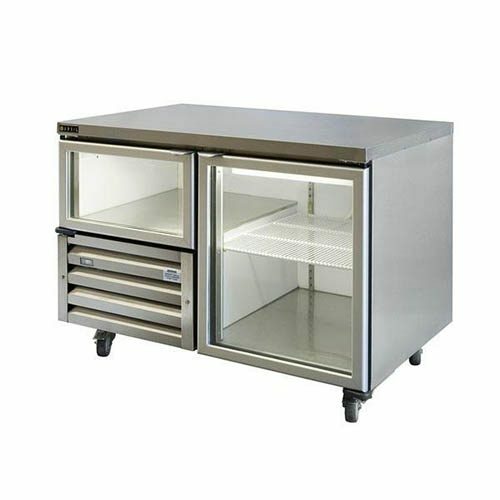 Maximise your cold food storage, most under bench counter fridges and freezers come with a thick stainless steel work top, so you are available to use this as a work prep bench. 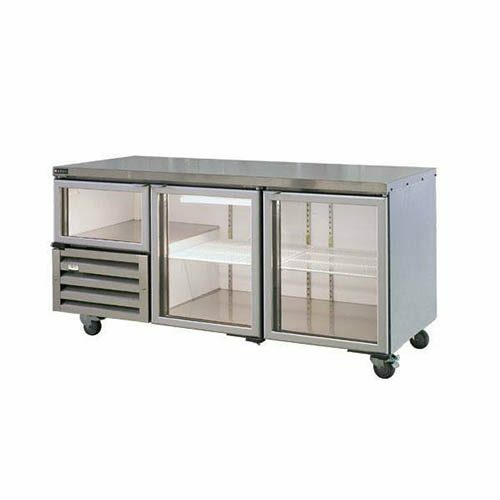 All cabinets are on castors/wheels for easy movement to clean behind and underneath. 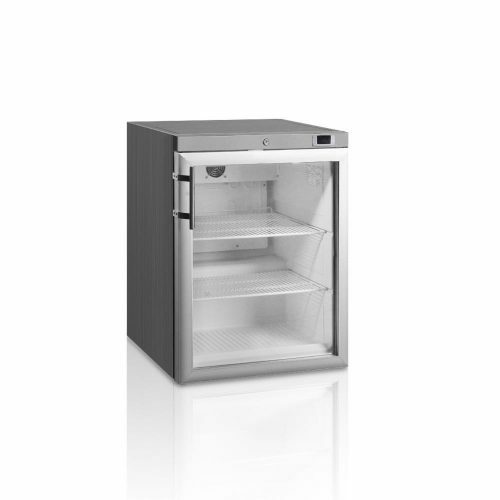 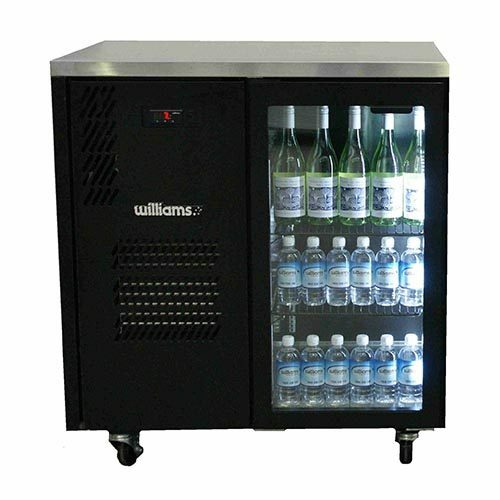 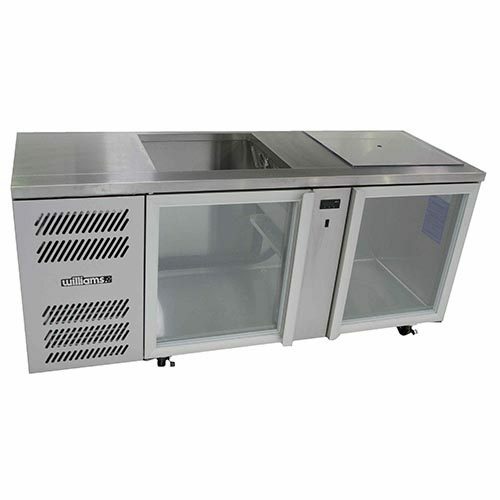 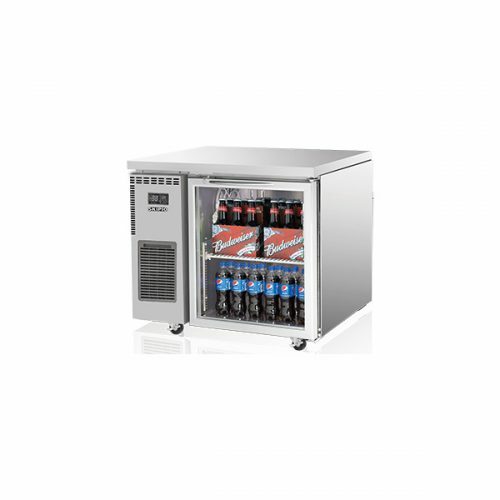 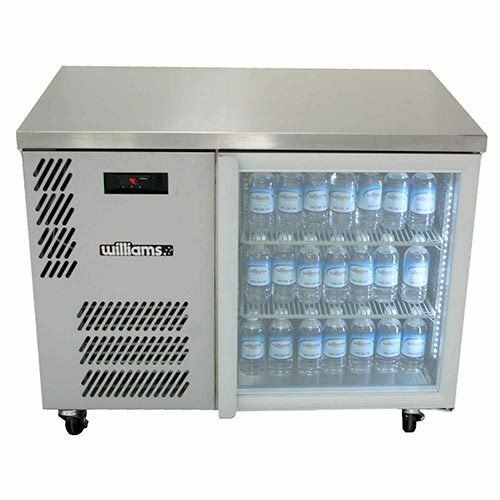 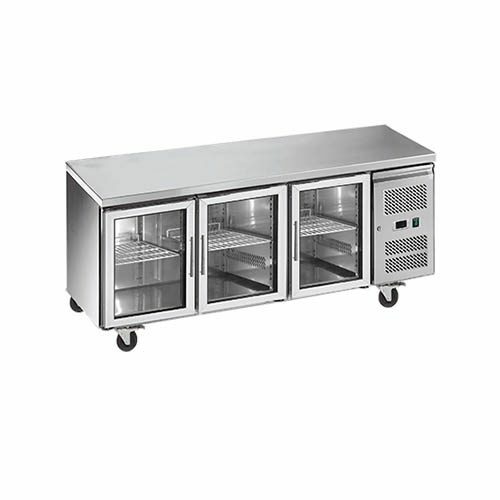 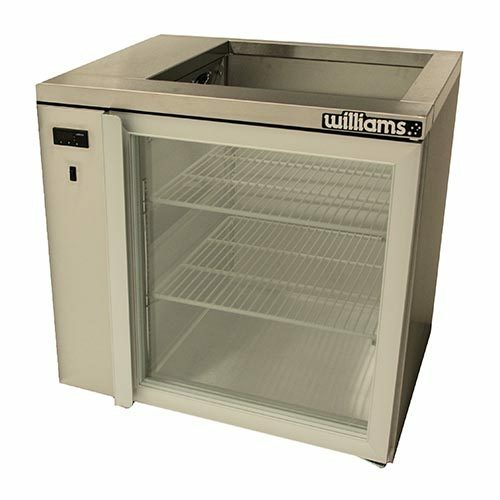 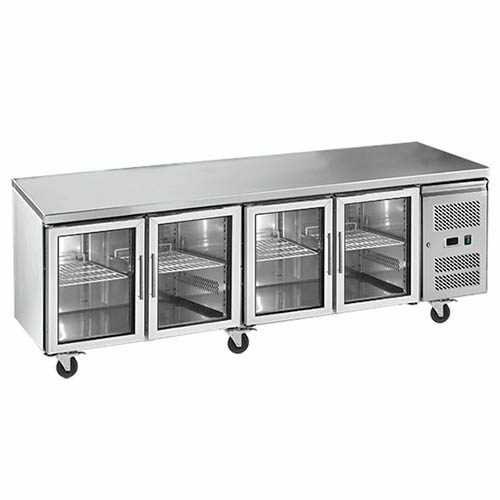 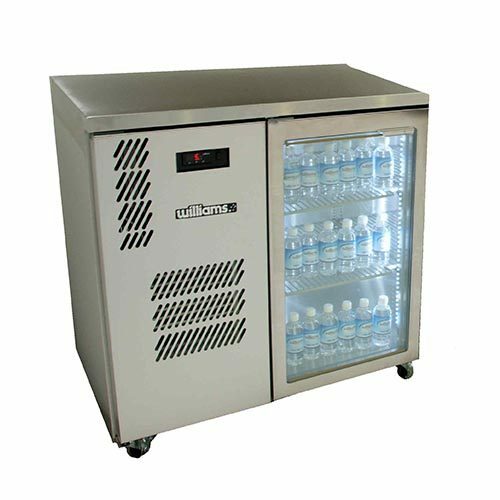 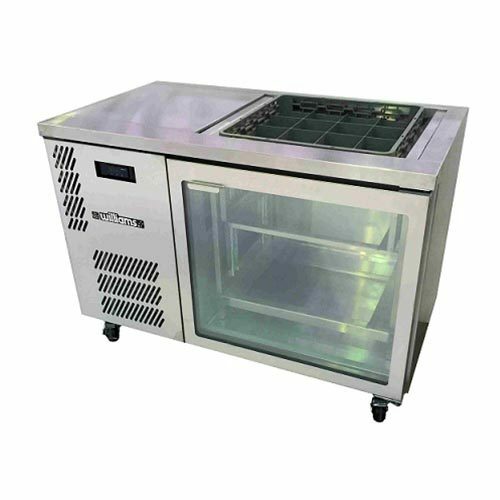 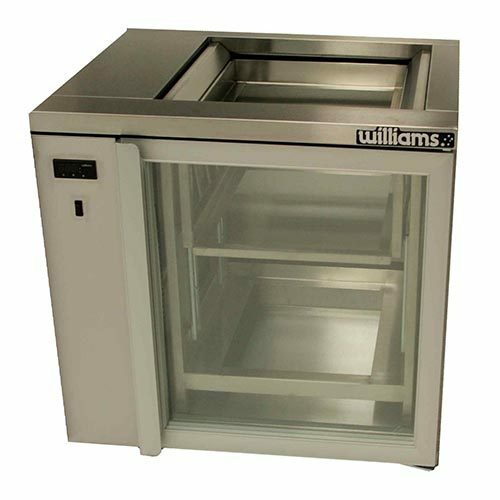 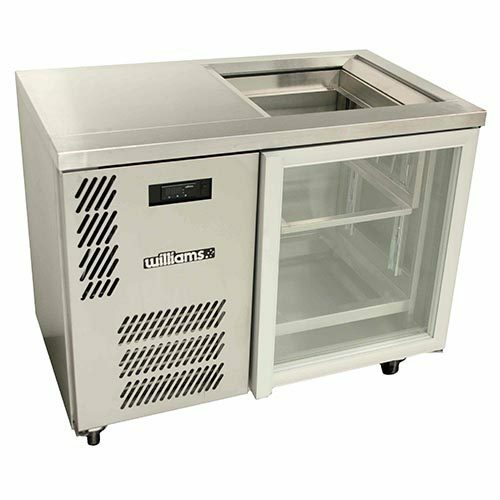 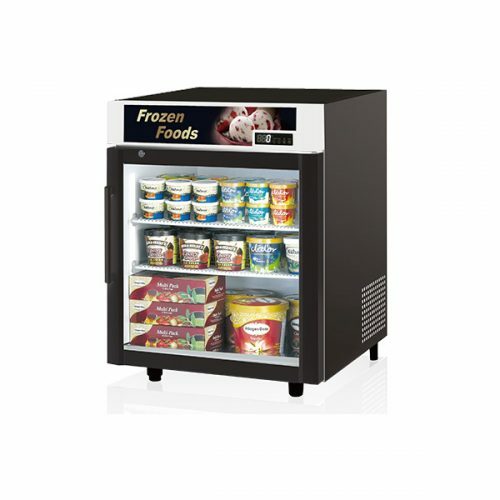 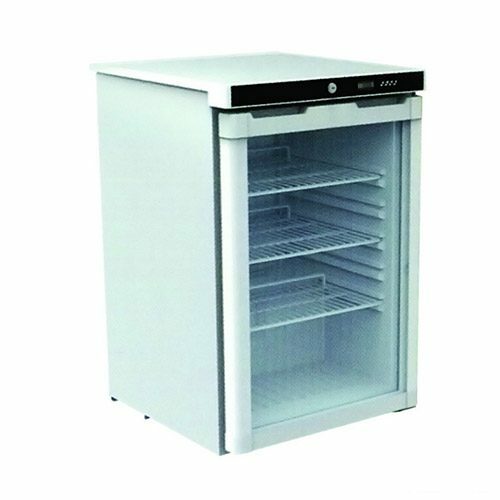 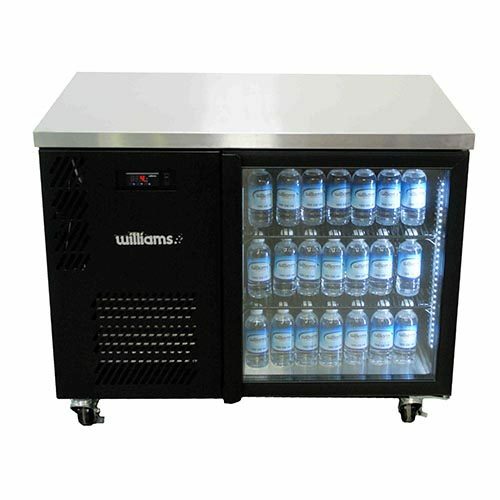 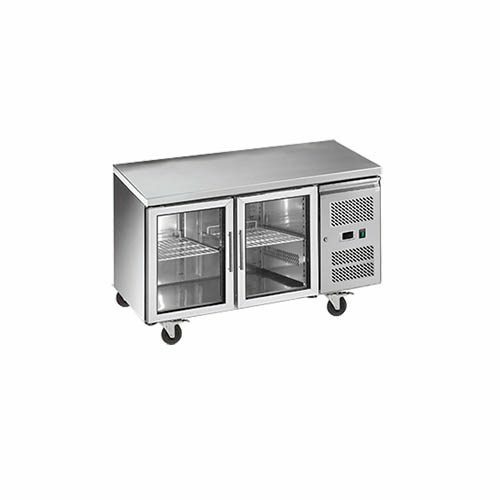 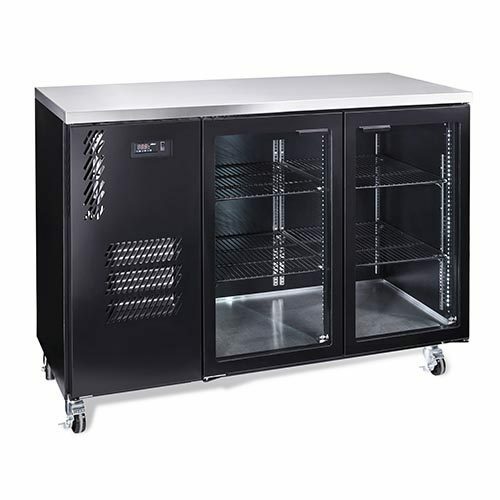 Available to order, Pass-through under bench freezers and fridges, remote under bench cabinets, stainless steel splash back fridges & freezers. 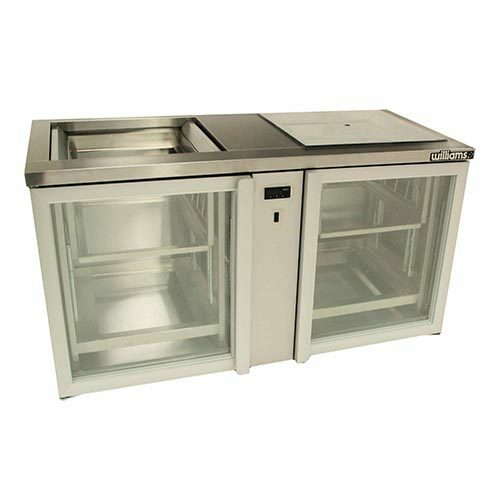 If your looking for Solid Door Underbench cabinets in fridge and freezer, We have cabinets matching our glass door models.